Accusing the government of trying to illogically increase power tariffs again, BNP on Monday called upon it to back off from such a move. “Efforts are on to hike the power tariffs again. Different companies proposed raising the retail power price by 15 percent per unit while 6-14 percent per unit at bulk level,” said BNP senior joint secretary general Ruhul Kabir Rizvi, reports UNB. 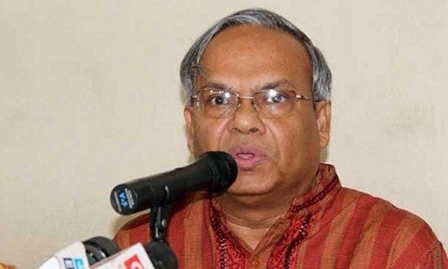 Speaking at a press conference at the party’s Nayapaltan central office, he also said the Bangladesh Energy Regulatory Commission (BERC) initiated a public hearing on the proposal today (Monday), and it will declare its decision on it within 90 working days of the public hearing. “I, on behalf of BNP, strongly condemn and protest the illogical decision of hiking power tariffs again. We call upon the government to retreat from the move,” Rizvi said. He said the country’s energy experts warned that if the proposal for raising the power tariffs is implemented the industries will be affected badly, and many mills and factories will be shut down, leaving lakhs of people jobless. Rizvi recalled that the government hiked the retail power tariff five times while seven times at bulk level over the last six years. The power tariff was hiked last on September 1, 2015. Referring to the media report, he said the two city corporations have raised the holding taxes of the city dwellers, causing sufferings to the people who are already badly affected by the growing price hike of essentials. The BNP leader said the holding tax of the city dwellers was also raised illogically, which will push up house rent and living standard of people, creating a chaos in society. He also opposed the government’s move the hike the rail fare and the price of ration rice and wheat, and urged the government to move back from such an initiative. Rizvi said the government has got desperate to impose taxes on people and increase the prices of different utility and other services to plunder public money.